After 2,430 regular season games and 31 postseason games, we’ve reached the World Series. The Tigers and Giants will do battle in the Fall Classic for the first time against each other. The Tigers are making their 1st appearance in the World Series since 2006 and are looking to bring Motown their first title since 1984. The Giants took home the Commissioner’s Trophy in 2010. Side note: can’t we get the World Series trophy a better name? There has to be someone in baseball history worthy of having the World Series trophy named after them, right? That’s a discussion for another time. Here at 3U3D, one of us each predicted half of the World Series matchup, with Angelo correctly predicting his favorite team, the Tigers, making it. While I had the Giants losing to the Yankees in the Fall Classic, I’ll take half right. Who will win the World Series though? Our full predictions are coming on Episode 33 of the podcast that will be up before game one, but I just can’t resist giving the full breakdown on the blog! One of my main reasons for picking the Giants to go to the World Series in the preseason was their starting pitching depth. How can they match-up with the Tigers now though, with a rested Justin Verlander, Max Scherzer, Doug Fister, and even Anibal Sanchez. The Giants have been pushed to the brink in each of their two series. This results in Barry Zito having to start game one against the defending AL MVP, that has a 0.74 ERA in 26.1 innings this postseason. Not good for San Francisco. Madison Bumgarner has been roughed up during this playoffs, but wasn’t used in the Giants NLCS comeback. Bruce Bochy’s decision to start Bumgarner, the 2010 World Series hero, or Tim Lincecum may swing the series. Matt Cain should be good to go for games 3 and 7. The depth, quality, and rest of the Detroit’s starting pitching gives them the edge here. Wednesday Update: Here are the starting pitcher matchup that were announced. Game 1: Verlander vs. Zito Game 2: Fister vs. Bumgarner Game 3: Sanchez vs. Vogelsong Game 4: Scherzer vs. Cain I’m shocked that Bruce Bochy isn’t starting Cain in game 3. As I said on this week’s podcast, I think the theory is that Bochy wanted to have his two best pitchers face the Tigers when they are at full strength with the DH in Detroit. They believe to have figured out Bumgarner’s problems, it makes it looks a little better and Lincecum is suited for the bullpen. Anibal Sanchez is fantastic in his career against the Giants, 3-1 with a 1.98 ERA and a 0.88 WHIP in 36.1 innings. That game 3 is going to be huge. Jose Valverde’s implosion turning into Phil Coke’s success has been a strage turn for the Detroit bullpen. Coke was great against his former team in the ALCS, but that might have just been a culmination of the Yankees completely falling apart. Joaquin Benoit is Detroit’s best reliever and Octavio Dotel has become this bullpen playofs mercenary that goes from team to team. I don’t think it’s enough to best the Giants bullpen. Sergio Romo is arguably the best relief pitcher in the game, with a devastating slider. Jeremy Affeldt and Javier Lopez haven’t given up a run in thirteen appearances this postseason. This is one of San Francisco’s biggest strengths and I have a feeling the Tigers bullpen has one blow up in them. Wednesday Update: Tim Lincecum will be in the bullpen for the Giants. Making this an even bigger advantage for San Francisco. Another great strength for the Giants. Buster Posey scuffled offensively in the NLCS, but called three straight great games behind the plate in the Giants comeback. Alex Avila has been terrible in postseason play hitting .127 in 63 playoff at-bats, including .227 in 2012. Gerald Laird will get at least one start. They don’t match-up with the probable NL MVP though. This is the biggest plus for the Tigers. Brandon Belt has gotten better, including a home run in game seven of the NLCS, but how can he match one of the top first baseman in the game? Prince Fielder is only hitting .200 in the playoffs, but provides such a threat that it makes pitchers throw to Miguel Cabrera. If you pitch around the Triple Crown winner, it makes Fielder that much better. Is there a hotter hitter coming into the World Series than NLCS MVP Marco Scutaro? Scutaro hit an insane .500 and had a record SIX multi-hit games in the NLCS. Omar Infante has been a solid pickup for the Tigers and has a hit in 7 of 9 postseason games in 2012. These have both been positions of strength for the World Series teams, but I’m going to have to ride the hotter hand. I think Brandon Crawford is going to be solid player in the future, but I can’t see him being any more than a player the Giants hope doesn’t hurt them here. He’s been solid defensively, especially that catch off Kyle Lohse in game seven. However, I love the postseason experience of Jhonny Peralta, who’s hitting .343 in the 2012 playoffs and is a career .297 postseason hitter. 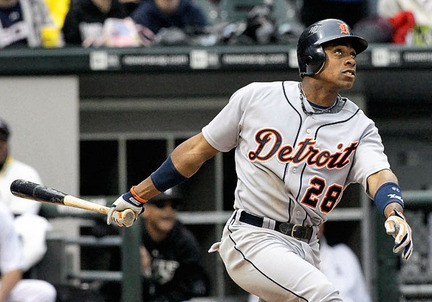 It gives the Tigers another piece in the arsenal that the Giants don’t have offensively. Yes I know, this is a no doubt advantage for the Tigers. Miguel Cabrera, right now, is the best hitter in the game. Pablo Sandoval, in my opinion, is the biggest key for the Giants offense. No pun intended. Sandoval is hitting .326 this postseason and .378 since game five of the NLDS. He needs to stay hot in order for the the Giants to have a chance hang around. Cabrera can put an final stamp on an epic season. Frank Robinson in 1966 was the last player to win the Triple Crown and the World Series in the same year, he was also the World Series MVP. This is the national stage that Cabrera deserves to shine. Two old-school guys with a World Series ring on their hand and now their 3rd pennant on the mantle. I can’t think of a match-up on this board that is more even. Should be great to see how these to mix and match their teams. Final Mapes Prediction: In my matchups the Tigers take it 4-3-2. The Giants have this thing where they like to be down two games and come back. I’ll have the Tigers taking the first two on the road with Verlander and Fister. Cain rallies back in game three to beat Scherzer. The Giants then win a wild game four, where the Tigers bullpen comes into play. Tigers take game five on the arm of Verlander again setting the Giants up down 3-2 and heading back home again. They repeat what they did in the NLCS, but in a more competitive game seven, where both teams pull out every stop. It’s going to be a great match-up, but ironically it’s Melky Cabrera’s All-Star Game MVP that gives the Giants home-field advantage and the World Series. Giants in 7. Enjoy the Fall Classic, should be a great one. Wednesday Update: I still think the Giants take it in seven as they put together nine innings from Vogelsong, Cain, and the bullpen while pulling out all the stops in the final game. They still will be down 2-0 going to Motown and Bochy ends up looking smart saving his two best pitchers for the road. Verlander takes game five and locks down the best postseason pitcher in the league award, that he probably already has anyway. Another year, another All-Star Game announcement with the usual outrage. There were many surprises for the 2012 all-star teams including Pablo Sandoval starting, plus Brian LaHair and Ian Desmond making the team. I understand Ron Washington taking his guy in Matt Harrison, but I think there were better options, including everyone who ended up in the A.L. Final Vote. For the Snub-O-Meter, I will not include any player that made the Final Vote. P.S. #VoteChipper! In my opinion, the most egregious snub for the 2012 All-Star game. Cueto is 4th in ERA in the National League and only trails R.A. Dickey in WAR among N.L. pitchers. Cueto has the top ERA in the National League over the past two seasons and deserved to go over Jonathan Papelbon or Lance Lynn. The other big name N.L. pitching snub and from my projected roster last week I had a feeling this was going to happen. Greinke is 3rd in WAR behind Dickey and Cueto, but isn’t in the top 10 in either ERA or WHIP. Looking deeper into the numbers though shows that Greinke has been great with an xFIP 2.72 and is top ten in K/9. If the players didn’t vote in Lynn, he still would’ve been snubbed by Cueto. Phillips has a case that he should be going to Kansas City, not just for his offensive numbers, but for being one of the top defensive players in the game. Dan Uggla got the fan vote, while Jose Altuve was a well-deserving All-Star from the Astros. Aaron Hill also has a case over Phillips, but still has a chance in the Final Vote. Phillips got squeezed in a deeper than you think National League second base pool. 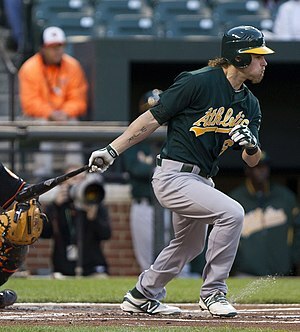 Lowrie’s case is tied into his better power numbers than other N.L. shortstops as he leads them in home runs and OPS. Ian Desmond goes to K.C. over Lowrie as a 3rd shortstop. Hard to make a case to have to Astros on the team. I can’t believe that Desmond went as a 3rd SS over this next player as a utility player. Why take Desmond who can only play one position over a guy who is versatile and has played the outfield, third base, second base, and first base over his career. He’s definitely more worthy than actual backup first baseman Brian LaHair. Prado is top ten in batting average, hits, and position player WAR in the National League. Player A: 34.1 IP, 39K, 1.83 ERA, 0.90 WHIP Player B: 29.2 IP, 37K, 3.08 ERA, 1.08 WHIP Want to take a guess on who is who? Player A is Tyler Clippard who has been the go-to guy in the bullpen for the Nats with the absence of Drew Storen, the implosion of Henry Rodriguez, and the expulsion of Brad Lidge. Player B is Jonathan Papelbon who is going to Kansas City over Clippard. It’s not Clippard’s fault that he wasn’t the closer for the saves the entire season. The first-place Nationals have three All-Stars, while the last-place Phillies also have three All-Stars. Makes no sense to me either. I understand the picks of Matt Wieters for his defense and Joe Mauer for his offense at American League catcher, but Pierzynski is having the best overall year of any catcher in the A.L. Pierzynski knows he’s unliked and that it played a factor into him not making it. If only the fans hadn’t voted in Mike Napoli he might have had a chance. I feel bad that these two get lumped together just cause of their first name, but oh well. I thought Willingham was going to be Twins lone representative over Joe Mauer. While Ryan Cook from the Athletics is deserving from the Oakland bullpen. Here’s how it should’ve played out. Pierzynski goes for Mauer, Willingham goes for Wieters, not sure why they need three catchers when two will suffice. I can’t fault Mike Trout or Mark Trumbo going to the game over either of these two or the next player on this list. An injury probably cost Jackson his chance on the team, but he’s been no less deserving. Jackson is top 5 in the American League in both batting average and on-base percentage. 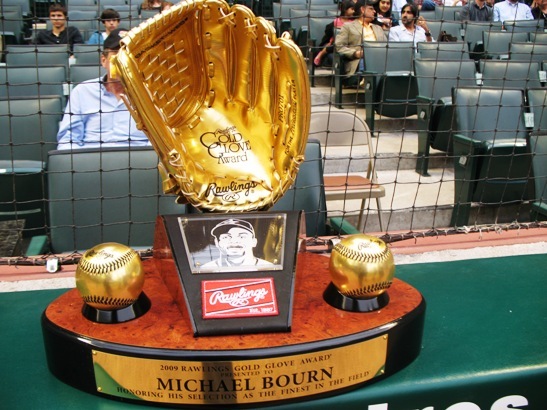 He also plays a Gold Glove center field in spacious Comerica Park. If a spot opens up, I could see Jackson being scooped up as a replacement. Ian Kinsler has been solid this season for the Rangers, but I thought there were enough already on the squad. Kipnis has been a great power-speed combo for the Indians and I believed he would make his first appearance. The players voted Kinsler and Kipnis’ teammate Asdrubal Cabrera at shortstop instead. Can’t really hate on that too much. Encarnacion was on the ballot as a designated hitter, but he’s less of one than David Ortiz or Adam Dunn who made the team are. Encarnacion could fill-in at third base or first base. His credentials are pretty amazing too. 5th in slugging, 6th in OPS, 3rd in runs created, 5th in RBI, and 5th in home runs. That sure sounds like an All-Star to me. Who were your biggest snubs for the All-Star Game? Let me know in the comments!